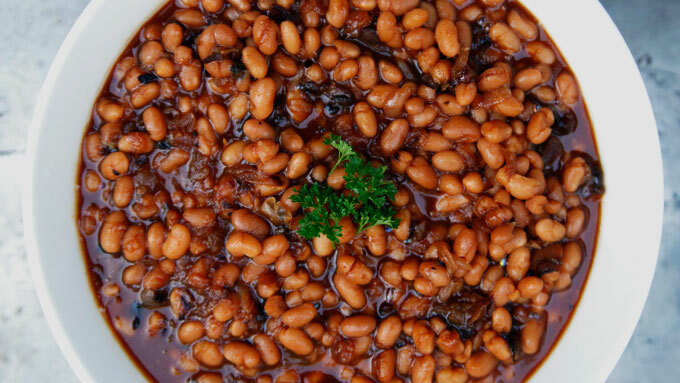 The secret to cooking really great Boston baked beans is to heat them on a low and slow setting to allow the beans to soak up its sweet, tangy and savory sauce. Baked beans are a popular American side dish often served during barbeque gatherings and summer patriotic holiday get togethers. The difference between regular baked beans and the Boston variety is the inclusion of molasses, which dates back to colonial times in New England. Most baked bean recipes, like this one, call for brown sugar which has molasses in it. However, the addition of more molasses adds a deeper level of flavor and lends itself to a darker colored dish. Today I have a very easy Boston Bake Beans recipe that is perfect for your next summer gathering. Made with canned beans, the only chopping needed is for the bacon and onions. After cooking both these ingredients everything else goes into a slow-cooker to work its magic. Just be sure to check on it once in a while and give it stir. This will help the beans on the bottom to not overcook, stick, or burn – never a good thing. These beans can be made the day before. I think they actually taste better when made the day before and reheated before serving. Enjoy! 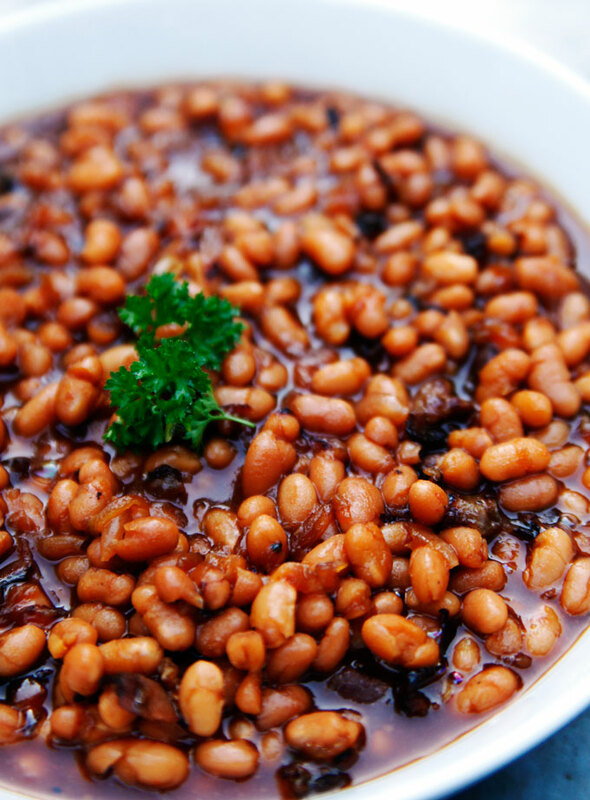 Made in a crock-pot, this baked beans recipe uses sauteed onions, bacon, brown sugar, Dijon mustard, cider vinegar, and molasses to give it its sweet, tangy, and savory rich flavor. Cut the raw bacon into small pieces and fry until half way cooked. Using a paper towel, soak up all but 2 tablespoons of the rendered fat and discard. Add the onions to the pan and continue to cook for 5 minutes. 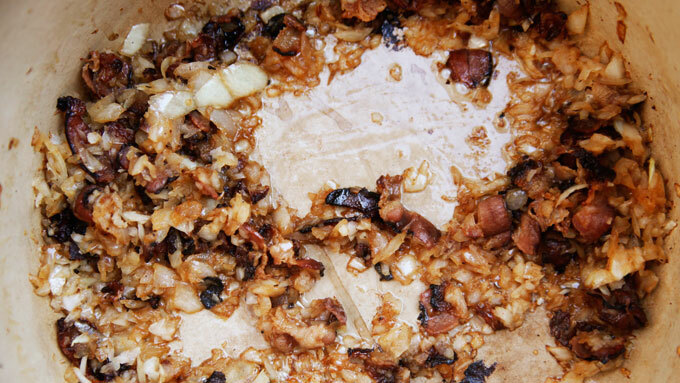 Transfer the bacon and onions to a slow cooker. Mix in the BBQ sauce,molasses, cider vinegar, Dijon mustard, Worcestershire sauce, salt, and pepper. Cover the slow-cooker with the lid and cook on low for 6 hours stirring occasionally to make sure the beans on the bottom do not burn.